It has been known about for some time now but the Chinese Super League is now a playable league on EA’s popular football game FIFA. This has got a lot of players of the game wet under the collar because a lot of the foreign players will be getting team of the week cards due to them being some of the best league performers. Not only that, but people are excited to be able to purchase their favorite players again for their Ultimate Teams. I personally haven’t played FIFA Ultimate team for a considerable amount of time, ever since EA decided that they would put levelers into the game to make the matches more even, so haven’t played it ever since they started doing that, when you have John Terry out pacing Lionel Messi then the game has problems. Today I saw on Twitter that a leaked photo of the Chinese Super Leagues foreign players was doing the rounds, and ex Barca and Tottenham man Paulinho looks like he is going to be one of the best foreign players, if not the best to choose from in the Chinese Super League. However, if pace is still the main attribute needed to give someone a big enough spanking to enforce a rage quit then Bakambu or Beijing Guoan is likely to be the most popular due to having 88 pace. Not top by any means but still a decent number, the issue that will arise from signing Bakambu is that he is unlikely to have any chemistry with your team. He is playing in the Chinese Super League where players of FIFA are unlikely to buy a lot of their ultimate team from, and he represents the Democratic Republic of Congo at international level; a country where players are also very unlikely to build an ultimate team from. Carrasco on the other hand has the same pace as Bakambu and with him being Belgian is more likely to be bought by Ultimate team players. Obviously with Belgium having a current golden generation it is highly likely that a certain amount of players will want to have a Belgian Ultimate team and Carrasco would be a good option if going down that route. In my opinion the Chinese Super League players are not likely to be that popular on FIFA outside of a few foreign players plying their trade in the league. 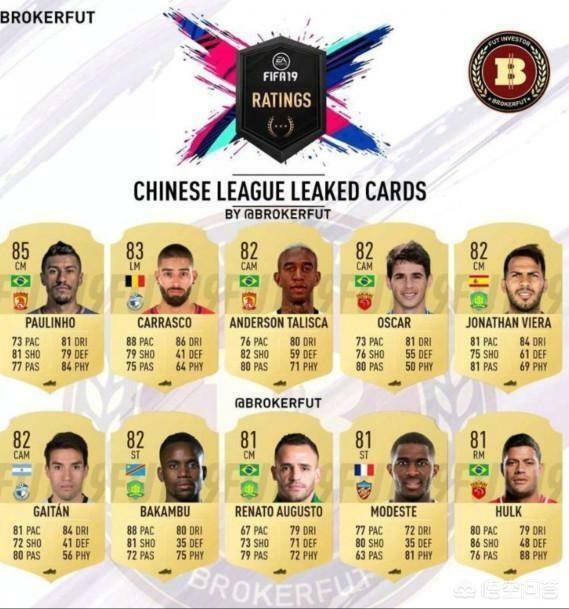 The Brazilians and Carrasco would be my shout for being the most popular players from the Chinese Super League showing up in peoples Ultimate teams. The outside bet is Bakambu, who according to his FIFA card looks strong, fast and has a good shot, however anyone who has played FIFA a lot know sometimes the FIFA cards don’t mean anything when the game dynamics have been added in and power up another side just because you’re spanking him, and rage quitting is bad for business.